Thanks so much for taking the time to answer our questions! Richard, could you explain what your role is as Birmingham Poet Laureate, and how you were chosen for the position? 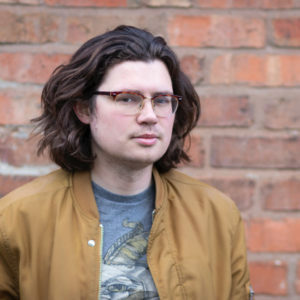 Richard: For about twenty years now, Birmingham has been appointing its own Poet Laureate – I think it was the first city in the UK to do so – originally for a one-year term, and more recently to hold the post for two years. To get the job, I had to submit examples of my own work and my ideas for the role, and perform a poem by me and another by a poet I admired (I chose Eve Ewing’s ‘what I mean when I say I’m sharpening my oyster knife’). The role of the Laureate officially is to promote poetry across the city, raising its profile through readings, workshops, and public commissions. Someone the other day described me as ‘a kind of mascot’, which isn’t wrong although I’m disappointed I don’t get one of those great Japanese mascot costumes. And Aliyah, could you tell us about your role as Birmingham’s Young Poet Laureate and how you got it? Aliyah: As the Young Poet Laureate, I get asked to write and perform poems for events that take place in the city and further out. My role involves sharing an enjoyment of poetry with as wide an audience as I can, and especially with young people, encouraging them to try poetry as a means of expressing and making sense of the things they care about. To put myself forward, I submitted two poems (one of which was about Birmingham), and explained what I could bring to the role. This was followed by an interview in front of a panel (which was very daunting!) during which I performed another poem that I wrote, and one written by a poet I admire (I chose ‘Hair’ by Rakhshan Rizwan as it’s one of my favourites). Following some questions from the panel, I was told the next day that I had been chosen for the role! 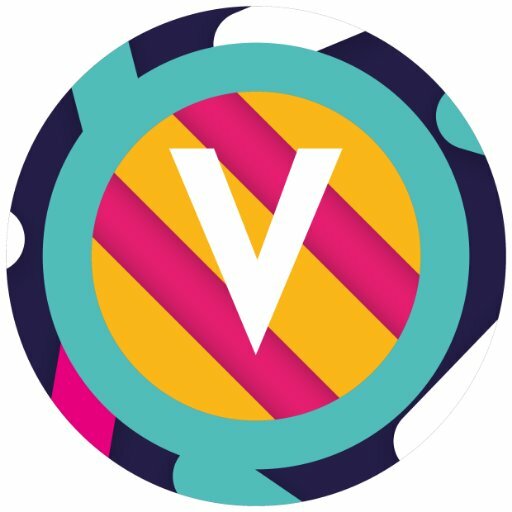 What have you done so far as Birmingham Poet Laureate/Young Poet Laureate, and what are you most looking forward to doing? Aliyah: I got the role in October 2018 and so far I have written for and performed at an event for Holocaust Memorial Day, which was a very profound experience; there was also a poetry reading high up on the top floor of the Rotunda, which, for its city-wide views and intimate audience, was both scary and enjoyable. I am extremely excited to write for some events coming up this summer – one of these is organised by the Royal Shakespeare Company! Ultimately, I am really looking forward to getting the chance to just write after the stress of exams is finally over. Richard: The highlight of my time so far was getting to read a poem at a civic reception for the President of the Republic of Ireland, Michael D. Higgins. My dad’s family is from Ireland — quite a poor part of Dublin, where many of them worked in the Guinness factory — and so I felt really proud to be able to deliver some of my work at an event organised for the Irish community in England. Meeting meet the President and hearing his feedback was a really special moment for me and my dad as well. 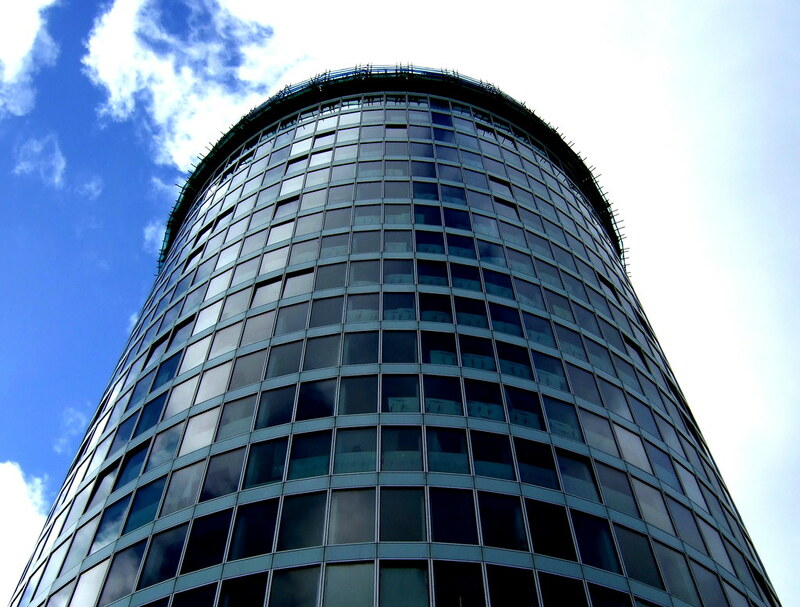 Another event that felt very ‘look how far I’ve come’ was the week I spent as poet-in-residence in an absurdly swish apartment in the Rotunda tower block. It was an amazing way to kick off my tenure as Laureate and write on new topics, thinking about different kinds of audiences. I wrote a blog about the whole thing which you can read here. And I’ve also done a number of workshops with school groups and adult learners, including a school visit to launch the 2019 Foyle Young Poets of the Year Award, and a beautiful event at the Barber Institute art gallery. On the horizon, I’m super excited to write some poems in response to an oral history archive of people talking about their jobs, for a new local heritage space. For me one of the really cool things about the Poet Laureate role is poetry having a space on the public stage. I’d be delighted to write more for local institutions and public spaces. At the end of April 2019, Carol Ann Duffy will step down as the UK’s poet laureate and we are challenging young writers to respond to her work. What do you think a poet laureate’s role is, more generally? Aliyah: Along with writing for important events and representing your area, being a poet laureate also involves spreading an awareness of poetry and its opportunities to everyone. When Carol Ann Duffy started her laureateship ten years ago, the public landscape of poetry was very different to now. With the internet and social media, poetry is the most accessible that it’s ever been – with the click of a button you can share your work with almost everyone in the world. In the context of this change, I think a poet laureate’s role involves extending this accessibility offline, and facilitating a love for poetry in the ‘real world’, for example by encouraging support for public libraries or other opportunities for emerging poets. Richard: Ooh, great question. I think Duffy has done a lot to redefine the role itself: one of my favourite things she did was her sort-of elegy for the reburial of Richard III, which was in a way a royal event, but very different to traditional laureate poems in praise of aristocratic marriages. To me it’s actually facing up, in whatever way each individual can, to this question of what it means for poetry to be ‘public’ in a modern world, where it can often feel like it’s a niche or elitist interest. I hope anything I write as laureate doesn’t feel elitist, or at least I’m very much keeping an eye on it! Aliyah, your poem ‘some infinities are bigger than others’ (which can be read below) was commended in the Foyle Young Poets of the Year Award 2017. It’s a really heartfelt poem about the speaker’s relationship with their mum. How did you write this poem? Aliyah: This poem is special to me, as ordinarily I don’t even write poems in the first person, let alone write about things or people that are so personal to me! It merges ideas of maths and love for my mum, which are two quite contrasting concepts; normally when I write a poem, its central idea comes first, and then the accompanying concept that I’ll use to convey it comes after a period of idea-generating – or sometimes vice versa. But the way in which I wrote this poem was different; both ideas came as a neat and contained package, and the sparse, pared-down style in which I wrote it was different too, so I had fun experimenting with that. How do you find balancing school, writing and other commitments like the laureateship? Aliyah: At the moment I’m working towards my GCSEs, so the balance has shifted a fair bit, and the time that I’m able to spend writing has greatly decreased. Although it can be a bit stressful at times, I just try to plan my time effectively (to varying degrees of success!) and fit my writing commitments around my school work. Nevertheless, writing is a great source of enjoyment for me, so any time that I do spend writing often feels like a break, or an outlet for any of the chaos that is going on. And Richard, what are you working on at the moment? 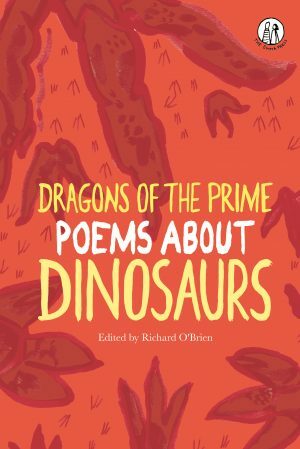 Richard: Recently I’ve been editing the new Emma Press children’s anthology, Dragons of the Prime, which is poems about dinosaurs, and it’s made me want to write more children’s poems, towards a collection. Just like public commissions, writing for children really gets me out of my own insularity as a writer, thinking about what other people might want to read or hear and find enjoyable. It’s been one of the most rewarding things I’ve done as a poet, I think. There are so many brilliant contemporary poets who are from Birmingham or who now live there winning prizes – Liz Berry, Luke Kennard, Zaffar Kunial, Benjamin Zephaniah… Who are your favourite Birmingham poets? 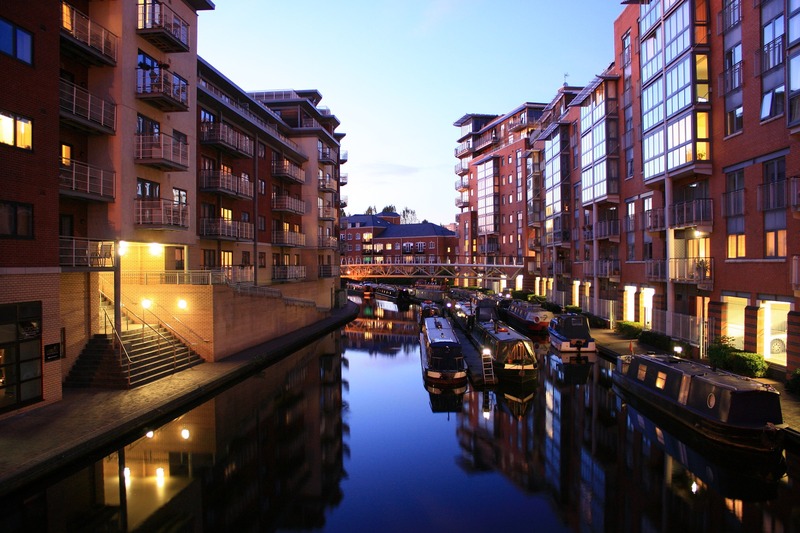 What do you think it is about Birmingham that’s drawn so many poets there? Richard: That’s a pretty strong list already! Having worked closely with Liz and Luke I rate their work extremely highly: they’re both so good at doing stuff that is unique to their own voice and has a broad appeal. I was actually drawn to Birmingham partly because of Luke, because I did my PhD with him as one of my supervisors! But I think more important is the fact that lots of poets come from Birmingham and the Midlands – the city is home to people from lots of different cultural backgrounds, and also a remarkably young population, and there is a big poetry and spoken word scene here that supports those trying to find their own voices. In recent years the Verve festival, set up by Stuart Bartholomew and Cynthia Miller (an amazing poet who no longer lives here but who made an incredible impression while she did!) has programmed such a variety of events every February that really brings people together and makes it feel like Birmingham is a city that cares about poetry. What advice would you give to aspiring young writers who may be thinking of entering the Foyle Young Poets of the Year Award, or trying to get involved in opportunities like the Young Laureateship programme? Aliyah: Without a doubt, I would say just go for it – whether it’s the Foyle Young Poets of the Year Award or your area’s laureateship programme, you have nothing to lose but so much to learn from the process of submitting itself, let alone the possibility of succeeding and the opportunities that this may lead to. In terms of poetry, you will get the same advice from everyone. Expose yourself to as many poetic styles and poets as possible; read some from your local library, online, or find a local open mic night to experience some spoken word. Write as much as possible; nothing is ‘too silly’ or ‘too deep’. If you want to write about it then do so and don’t worry what anyone else may think. Finally, find the opportunity to share your poetry, through writing groups, competitions or people you know, and be proud of the poems that you write. Richard: Advice point number one: ENTER THE FOYLE YOUNG POETS AWARD. If I had a dollar for every time I said it had changed my life, I’d have more money than I get paid for most readings. I think the best thing any contemporary writer can do is just to read other contemporary writers – your own peers, and people older than you and from elsewhere. Otherwise your work won’t be connected to what’s going on in the world today, and it’s easy to fall into cliché or to sound like you’re writing a hundred years ago. 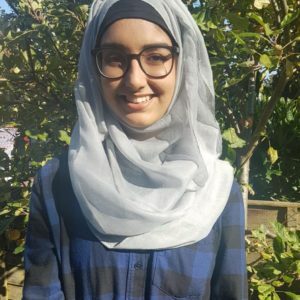 Aliyah Begum is a 16 year-old Birmingham-born poet and performer, who enjoys writing for her role as the Birmingham Young Poet Laureate for 2018-20. She is a commended Foyle Young Poet, and has been published in several anthologies. Outside of poetry, she has a passion for maths, enjoys learning languages and has a love of reading. Richard O’Brien’s publications include The Emmores (The Emma Press, 2014) and A Bloody Mess (Valley Press, 2015), and work in a range of magazines and anthologies. Richard won an Eric Gregory Award for his own poetry from the Society of Authors in 2017, and currently works as a Teaching Fellow in Shakespeare and Creativity at the University of Birmingham. He has also been a commissioning editor at the Emma Press, and is the Birmingham Poet Laureate 2018-2020. Fascinating interview. I particularly like Aliyah’s advice that nothing is “too silly” or “too deep” to write poetry about.